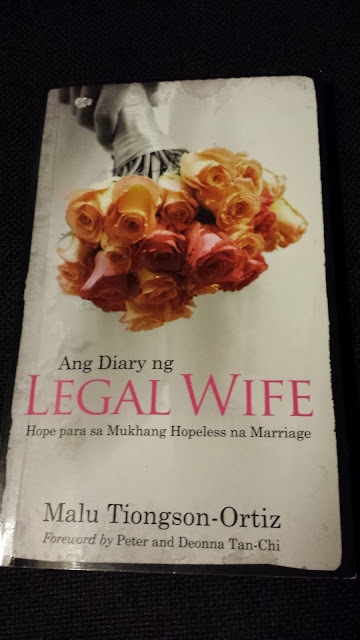 Ang Diary ng Legal Wife is a book of hope para sa mukhang hopeless na marriage, written by Malu Tiongson-Ortiz. This 150-page book is sold at all OMF Lit for only P75.00. I bought this book at the Launch of OMF's New Inspiring Books to be given to a friend who's marriage is about to collapse. There are 9 chapters in this book, namely, Ang Pag-aasawa'y di biro, Mahal Mo Ba ang Asawa Mo?, The Legal Wife, The Other Woman, Maghiwalay na Tayo!, Paano na ang Kids Namin?, Annulment: Solusyon o Ilusyon?, The Antidote and Life Goes On. Pero wala na nga ba talaga? Is separation or annulment the only way out of your torment? 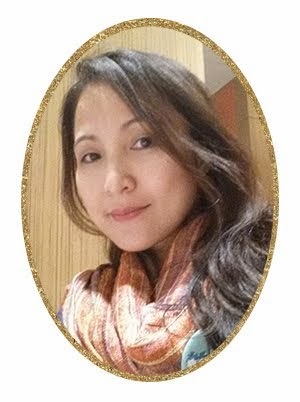 In this honest and comforting book, Malu Ortiz offers guidance and help. No stranger to suffering, Ortiz shows how you can find hope—even in the midst of a crumbling marriage. Thank for posting this blog.